G. William (Bill) Domhoff (born August 6, 1936) is a research professor in psychology and sociology at the University of California, Santa Cruz. His first book, Who Rules America?, was a controversial 1960s bestseller arguing that the United States is dominated by an elite ownership class, both politically and economically. In 1996 William Domhoff, U.C., Santa Cruz was one of the original 130 founders of Campaign for America's Future. 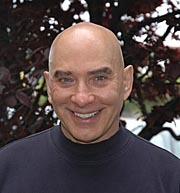 On May 1 2008, William Domhoff, Fred Block, Sociology Department, UC, Santa Cruz signed an open letter to SEIU president Andy Stern in protest at SEIU move to force its local United Healthcare Workers into trusteeship. This page was last modified on 6 January 2013, at 09:25.